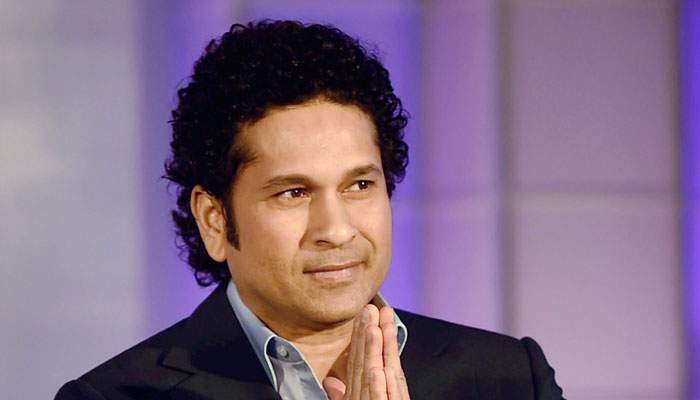 MUMBAI: Cricket icon Sachin Tendulkar says that he had no knowledge that how important is nutrition when he started playing and only realised when he lost a game because of lack of nutritional intake. "In my younger days when I first started playing cricket, I did not know the importance of nutrition. Cricket being my first love, I was always rushing to play the game. I wasn't aware what a complete and nutritious diet meant, because of my lack of knowledge on the subject back then," Sachin told IANS. "It was the biggest lesson of my life when one fine day, I was playing a match and around lunch time, I lost the game due to lack of nutritional intake... I made up my mind to never let this happen again," added the master blaster, who is is seen urging the millenials to start the day right in a new TV commercial for the brand Quaker Oats+Milk. PepsiCo India has released a new ad film to promote this Agrain-dairy beverage that blends the goodness of milk with fibre and oats. The new film features the brand ambassador Sachin who has also co-created the product. "When I worked with PepsiCo India to co-create Quaker Oats+Milk, I remembered my lessons, and so we created a great addition to the breakfast table, to give one's mornings a head-start with fibre, calcium, oats and milk. "With the new campaign, I hope to give the youth the message that it is very important to start your day right, so that you are prepared to keep moving ahead each day towards achieving success," he said.